Leader of the Indigenous People of Biafra, IPOB, and Director of Radio Biafra, Nnamdi Kanu, yesterday said he had no problem with Alhaji Atiku Abubakar’s presidential ambition in Nigeria. 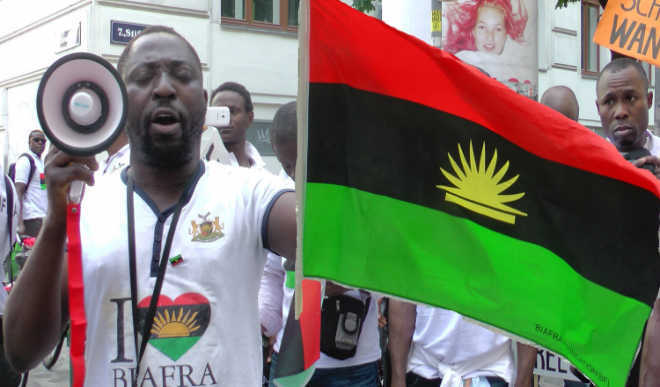 IPOB in a statement by its Media and Publicity Secretary, Emma Powerful, quoted Kanu as saying, “Let me make it very clear that my reference to Alhaji Atiku Abubakar being born a Camerounian has nothing to do with his suitability to contest the office of the presidency of Nigeria because that is the business of Nigerians, I am a Biafran. 2Baba and wife are having marital crisis?